As the title suggest I'm looking at getting a set of decent polarised sunglasses. I have mainly been looking at both Mako and Tonic. Does anyone on here have experience with these brands and are they worth the money? Any other recommendations would be greatly appreciated. I've heard that Tonics are average, I had a pair of Makos and loved them till the arm screw snapped and half is stuck in the arm. I've also had Oakleys which were my favourite till they got left on the roof of the car at Thompson when I drove off. I can't compare any brands but use Spotters myself, they're pretty good but aren't all that comfortable, I purchased online so didn't try them on. Glass lenses all the way if you can. I have a pair of "Fish" from BCF... pretty damn good for the price. I can't justify spending $100's on a pair of sunnies. I'd love to test the difference between the cheaper and more expensive sunnies. Wonder if there is much difference. If boating is your main reason for sunnies then dont buy expensive. I have lost untold sunnies overboard on boats from leaning over, somebody swiping a rod or rope across my face and sunnies going skyward with them. Boat sunnies are always getting cleaned because of salt, fish guts etc etc so they become scratched pretty quick. For the money ...why not I say ....but that is my opinion ... . I got a pair of polarized sunnies from ( OTR ) on the run. The work a treat and were $25 dollars. If you have health cover, even general extras, you can claim for optical. If you have not had an eye examination within the last two years you can organise one and it will not cost you a cent. If the examination determines that you require corrective lenses then you will be able to get prescription sunglasses made and the out of pocket cost to you will be not too much, depending on the frame you choose. I have 4 or 5 sets of polarised sunnies lying around that I use in the boat, driving etc . Most Health Cover policies allow for a certain amount to be claimed each calender year. I get sunnies one year and normal specs the following. It is worth looking into, just find which optical suppliers are supported by your fund and then check them all out to find a good deal and the frame you want. I have Nike, Mako and Ray Ban frames on my sunnies. Last last set of glasses I picked up were in December just gone, not sunnies, just normal specs. Just the frames were priced at $260 and the out of pocket expense to me after being fitted with corrective lenses was $40. This was from National Pharmacies at Findon. I joined up as a National Pharmacies Member, can't remember what the cost of that was but it gave me 20% and in the end I was better off than doing it the other way. Makos all the way, glass lenses please and they repair at a decent cost too, just had a lens replaced on a two year old pair that got dropped a few to many times. Servo sunnies. Break them, lose them, replace them, your all good. Not the best but they don't break the bank. Spotters over Tonics for me.... i have a pair of tonics now and they are bad. I look after my sunnies and they are scratched to buggery. They dont clean well. Smear marks stay on there certainly not impressed. 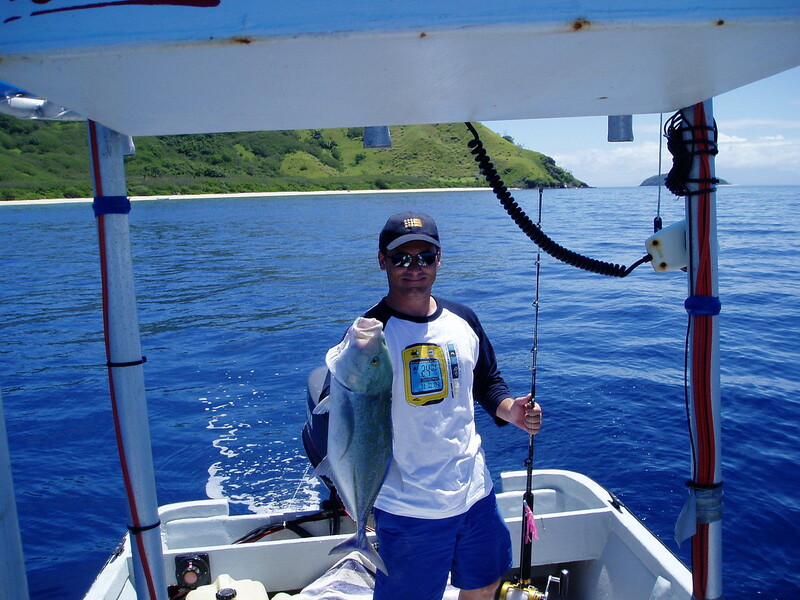 Im a landbased fisho and the glass polarized lenses are a winner for sure! I have had maui jims now for at least 12 years, maybe about a dozen pair. I always have a set with amber lenses for cloudy glary days and the grey lenses for bright days. I get the sport versions as they are light and stay on your nogging when you lean over. Before maui's it was Mako's for at least 5 pair. They are brilliant as well but the glass lenses make them heavy so a neck strap is a good investment as they do wnat to slide off when you look down. I found that they both are fairly scratch resistant and I usually destroy them completely before they get too scratched. I wait until I go overseas or the the US and buy a few pair on the cheap, although that is getting harder now. How do I know I have been wearing them for at least 12 years? My wedding trip in 2003 wearing maui's. Where did you hear that keenfisho? Tonics crap on everything else, period!, Does anyone know who originally made the brand spotters? Doug Phillips, who makes now tonics? Doug Phillips. Interested to know if you had glass lenses Southie or poly? On the way back from Paskeville, I picked up a pair of Spotters Coyotes at Sportfishing Scene at Cavan. They have been quite good and although they have racked up quite a few Frequent Flyer points, they are still in excellent condition. However, for my birthday last year I received (after considerable hinting) a pair of Tonic Youraniums. They are without a doubt the most comfortable eyewear Iâ€™ve ever worn and the optics are pin-sharp. I had a pair of Tonic Sunglasses given to me as a gift 1 month ago, I have looked after my glasses in past. I found the new sunglasses with glass lenses in me hip bag 3 days ago with a shattered lens, I can not work out how this had happened as I have the bag on my most of the time. I have always had sunglasses as I have had boats for 20 years and never broken a leans yet some have fallen out and scrached. I took them back to the supplier and they said there is not warranty on the lenses, I would not recommend the Tonic sunglasses. A pity about the tonic's reeftrip, but I'd say you would have buckley's chance of a successful warranty claim under those circumstances from any manufacturer. I still have my maui jims and had new lenses fitted after I put them up on my head when I went in the shed and had a drink of water, hmmm, concrete and glass not good friends. Yeah agree with the Cancer Council sunnies . Best thing is I know they've done all the work so I don't need to think about getting great eye protection. All else fails, the $ always goes to a good cause. Scored a pair of polarised photochromatic Spotters, courtesy of one of our S&H comps and site sponsor. They are awesome. I'm shortsighted and usually wear contact lenses out fishing. I'd love prescription lenses in high end sunnies but they are way too $$$. Otherwise I'm sticking with the polarised pair from my '2 pairs for no out of pocket expense'. I have just ordered wrap around frame with polarized lenses from optical superstore,frames are $88. Important to wear polarized sunny's in preventing eye cancer,a friend of mine had khemo on a eye recently if it doesn't work they'll remove the eye. What is the make & model of the frames? I have 2 pairs of designated fishing spotters sunnies that i tried on and bought. If your using them for fishing mainly, try them on. at some stage, you'll look down into the water and if they are not a 'snug fit' you'll lose them at some stage. Bought my first pair atleast 6 years ago at Whitworths and the second pair, 3 years ago at the 4wd and boat show for 20% off. Virtually scratch resistant and cops salt water spray on a regular basis but after a clean, back to brand new. Sure, your looking at around $200 for a pair of sunnies but if you use them constantly, its a good investment. knowing what I know now about sunglasses Maui Jim is my go to Sunglasses now. two styles to choose from by "Dirty Dog" brand and a third made by "Fila"
I'm always scratching my good sunnies so have been using polarised safety glasses for everyday work etc and for land based fishing. They're good for cheap sunnies that don't mind scratching or losing but the plastic type lense is not as good as a nice clear glass type. Some of the cheaper ones also have distortions on the lense. However the amount of times I bash my head on a tree with the sunnies acting as a helmet I'm resigned to budget stuff haha.